The Harry Potter must-see's in London! Today’s blog will be about all the Harry Potter tour you can take through London! If you google it, you’ll get a whole list of sightseeing and must-see’s in London and I thought, maybe it would be fun to tell about that in a travel blog! First thing on the list is the Warner Bros. Studio Tour! Here you can see all the behind-the-scenes and making of’s of our favourite wizarding world. They showcase all kinds of original attributes and clothes you’ve seen in the movies. You can get a ticket (with transportation, as it is located just outside of London) for £69 (which is about 76 EUROS). 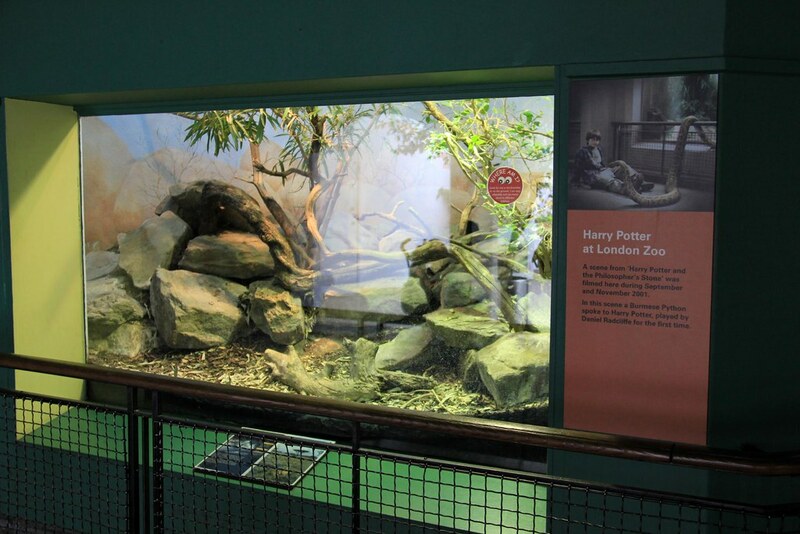 Did you know you can also visit the reptile house you see in the Philosopher’s Stone, where Dudley gets stuck in snake’s habitat? Well, it’s all in the ZSL London Zoo! It still looks the exact same as it did in the movies, and maybe you will discover if you have some parseltongue skills as well, just like Harry. As we all know, Platform Nine and Three-Quarters is located in King’s Cross. 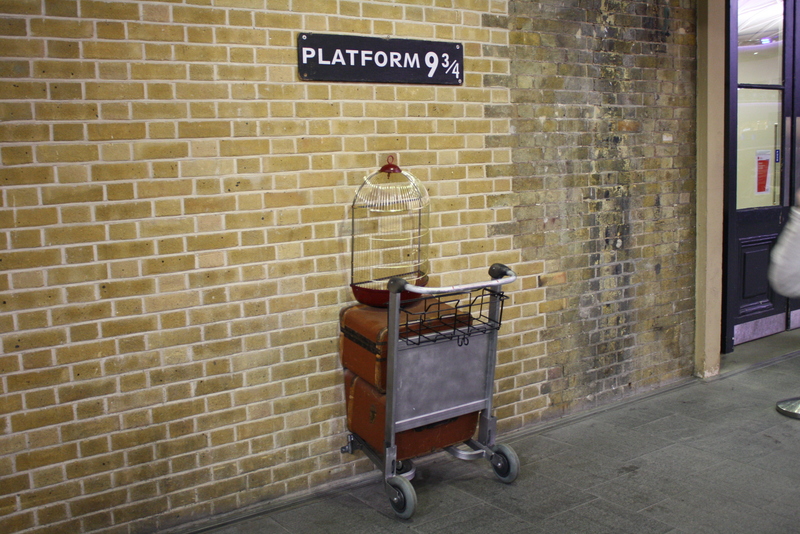 If you visit platforms 4 and 5 at this train station, you just might find yourself being lucky enough to have found the entrance to this magical platform! 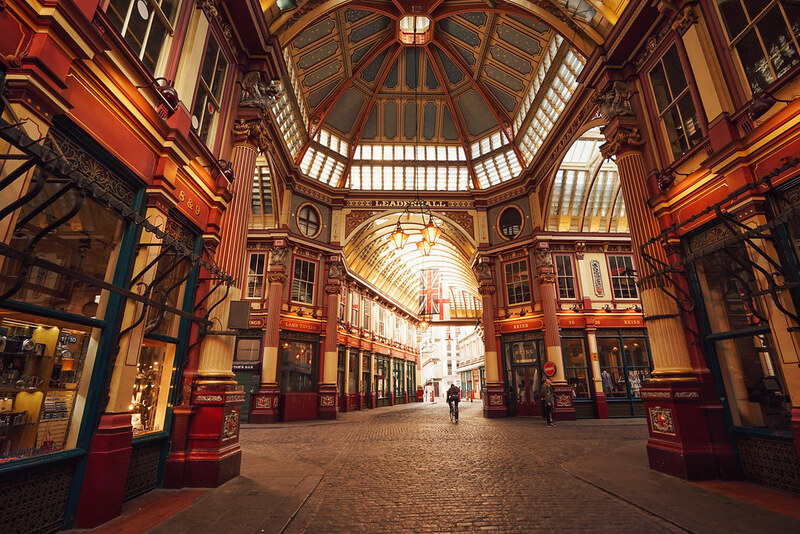 In London, you can also visit Diagon Alley, or as they call it, Leadenhall Market. Our beloved Diagon Alley is based on this Market, and if you take a good look, you may recognise the blue door they used to the entrance of the Leaky Cauldron. How awesome is that! This list was obviously just a small take on the many locations where you might recognise some Harry Potter related things. Make a quick visit to the Tower Bridge, Piccadilly Circus, or Westminster Tube Station! We hope you enjoyed this little travel blog!